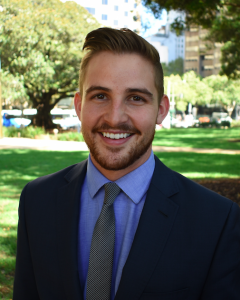 Elliot graduated from the Australia National University with a Masters of Legal Practice (MLP) and Bachelor of Laws/Arts (International Relations) (LLB). Elliot is a passionate advocate for defending people’s rights and particularly people have been charged with criminal offences. He has extensive experience in achieving positive outcomes for clients in defended hearings, sentence matters, bail applications, application under the Mental Health (Forensic Provisions) Act, AVO matters and general advice. Elliot is an accomplished practitioner appearing in the Local, Children’s, District, and Supreme Courts and the Court of Criminal Appeal. He also has experience and is knowledgeable in civil litigation in ACT and NSW. Elliot’s strengths include his ability to analyse complex legal issues and communicate effectively with clients to achieve desired outcomes. Elliot is easy-going, approachable and understanding of client’s needs. Elliot has a keen interest in human rights and international treaty obligations.